Galleria Dallas in collaboration with 1814 MAGAZINE and the Texas Fashion Collection, part of the University of North Texas College of Visual Arts and Design will present Age of the Supermodel: The Photographs of Donna DeMari at Galleria Dallas this fall. This free exhibit is open now through October 28 on level one at the south end of the shopping center. In 1991, celebrated fashion photographer Donna DeMari was commissioned by British Vogue and its legendary editor Liz Tilberis to photograph the Fall / Winter Haute Couture Season from a unique vantage point… backstage. At that point in time very few people had ever been granted access to the inner sanctum of models, designers, and the secrets behind haute couture. 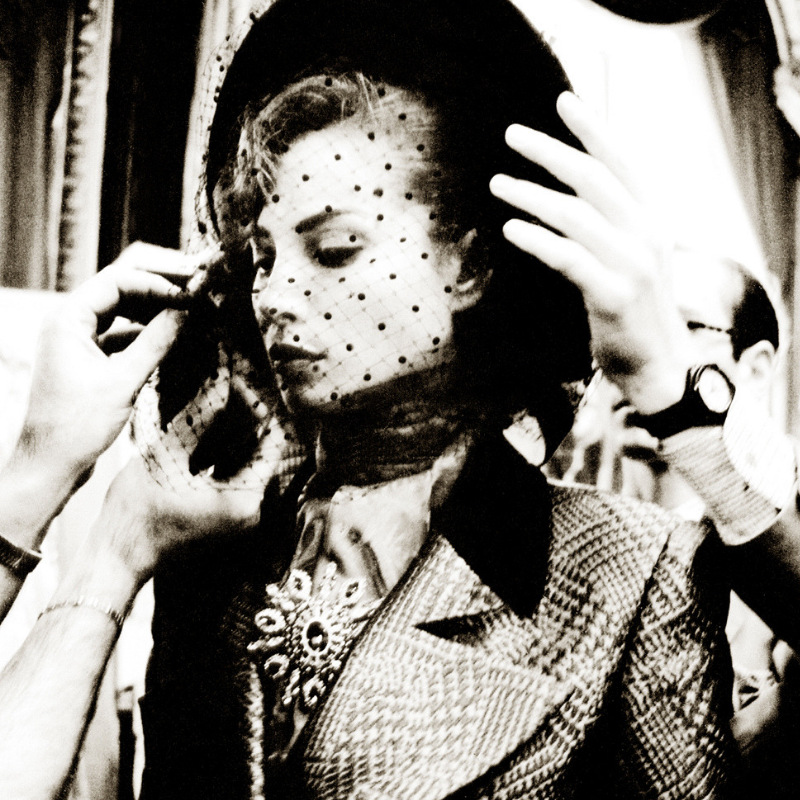 Armed with a Nikon F2, a few rolls of film per show, and shooting only with available light, Donna began to document the unguarded moments of the world’s most beautiful women in the most exquisite designs of Pierre Balmain, Chanel, Jean Louis Scherrer, Guy Laroche, Emanuel Ungaro, Christian LaCroix, Valentino, Givenchy, and Lanvin. These previously unpublished photographs of Linda Evangelista, Carla Bruni, Naomi Campbell, Gisele Zelauy, Yasmeen Ghuri, Christy Turlington, Heather Stewart-Whyte, Susie Bick, Tatjana Patitz, Kristen McMenamy, Nadia Auerman, Claudia Mason, and Karen Mulder among others, offer a rare glimpse into the world of haute couture during the Age of The Supermodel. This multi-media exhibition includes 56 backstage photographs from the 91 / 92 Haute Couture Season, rare video footage, and related haute couture pieces (courtesy of UNT’s Texas Fashion Collection). A full program of events and lectures will be offered during the course of the exhibition including an opening and artist reception with photographer Donna DeMari, an artist talk with Donna DeMari, haute couture from the models’ perspective, and a discussion on the history and art of haute couture with Annette Becker, Director of UNT Texas Fashion Collection. Age of the Supermodel: The Photographs of Donna DeMari is curated by Michael Thomas, Editor and Publisher 1814 MAGAZINE, and Jocelyn Meintser, Senior Editor 1814 MAGAZINE. The haute couture elements exhibited are curated by Annette Becker, Director of UNT Texas Fashion Collection.